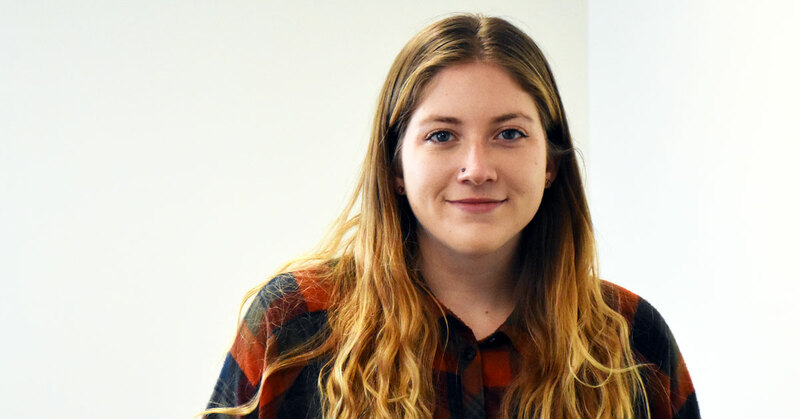 Katie Iles is a first year graduate student, working towards a master’s in geography and environmental planning at Towson University, where she’s also a student intern in the Center for GIS (CGIS). She provides support on a variety of projects, including data collection, map making, and field work. “One unexpected skill I’ve learned while working at CGIS is data creation through field work. I’ve had the opportunity to use ESRI’s Collector app along with other specialized tools,” said Katie. CGIS provides a full range of application development services, geospatial data development and analysis, and customized GIS training. During her time with CGIS, Katie has worked on a number of projects she considers rewarding. “I contributed on a case study using interesting geodemographic data to analyze TU’s out of state student population. Being involved allowed me to practice geospatial data analytics along with cartography, which was a great experience for improving my GIS skills,” said Katie. After completing her master’s, Katie plans to gain more experience with GIS and hopes to use it for sustainable solutions to environmental problems, such as natural resource management. What is a fun fact most people don’t know about you? I really enjoy photography. I have participated in some art fairs and have also done professional shoots for engagements and graduations, which always feels very rewarding. David Sides, GISP, PMP, joined the Center for GIS in 1997. As a project manager, he oversees a variety of projects, working with teams of GIS specialists, application developers, and IT staff in the creation and deployment of locational technology solutions. He works with clients to understand their existing data resources, systems, needs and goals. Gathering this input, he then works with the CGIS team to design geospatial databases and locational information systems that enable CGIS clients to utilize their spatial data to its fullest advantage.